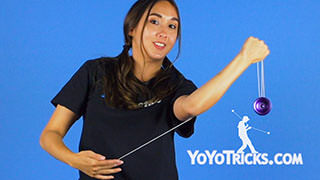 Learn the trick Quick Change from Ann Connolly. 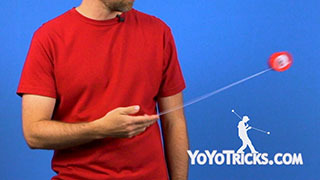 A helpful tip before you start this trick is to make sure your string tension is neutral. You first want to throw a breakaway. From here you are going to do a double reverse laceration. On the second time around, you want to catch the strings in the crook of your arm. Here you are going to grab the strings with your three fingers. 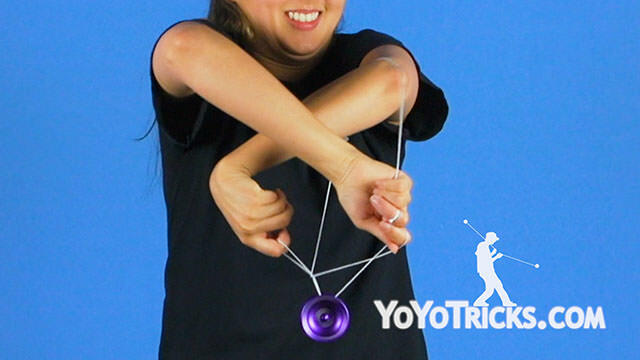 Take that index finger and lift the yoyo up. 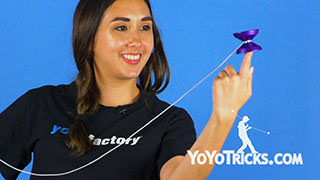 You want to mount the yoyo onto this string while you release the strings from your arm. Next you want to swing the yoyo inward once. Then pinch the string resting on your index with your thumb. 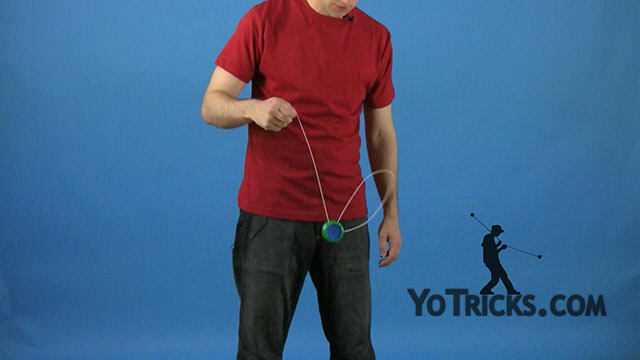 Here, you want to push the yoyo forward to reject the string. 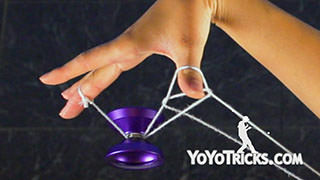 Next you want to point your hand downward and then twirl the string twice until it is facing towards you. From here you will tunnel your arm through the slack, past your elbow. Then swing the momentum inward and land into a trapeze. 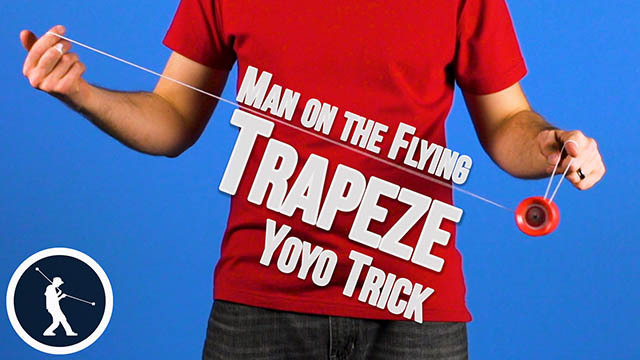 Without dismounting the yoyo, you are going to take that tiny trapeze, lift it up through and in between the strings resting on your elbow. From here you are going to slide the slack down your arm while pulling apart your hands. The slack should be facing on the side closer to your body. Your palm should be facing forward, and you should still be pinching the string with your thumb and index finger from earlier. 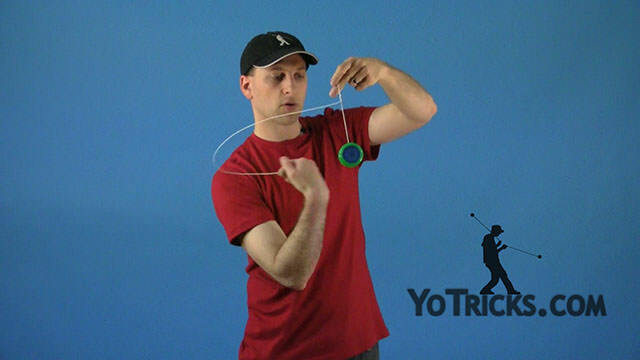 Next you will pop the yoyo off the string while curling your finger inward to keep it on it. Simultaneously, you will whip the slack around and onto the yoyo with the string that you were pinching from earlier. Here you are going to curl your fingers, then roll over your throwhand and land into this mount as you curl your hands and point your fingers forward. 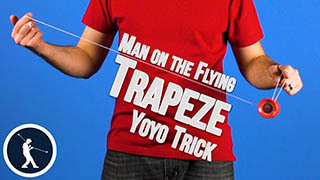 To dismount and end this trick, you are going to pop the yoyo up and as it comes down, you are going to drop the string on your index finger and then curl your finger on your opposite hand to land into a trapeze. And that is how you do Quick Change.